Feature film or television, commercial or industrial, urban or rural, day or night...take your next production to new heights with Java Post Aerial Photography. Capture amazing aerial images in 4K Ultra HD - or even higher resolutions - from places conventional aerial platforms could never go...and at a far more affordable cost. Film, television, sports and events, tourism, agriculture, construction, real estate, oil and gas, mining, surveying, forestry - if your industry needs "eyes in the sky," Java Post Aerial Photography is a fantastic tool to get your job done, with a unique perspective that will add stunning visuals to any creative production. 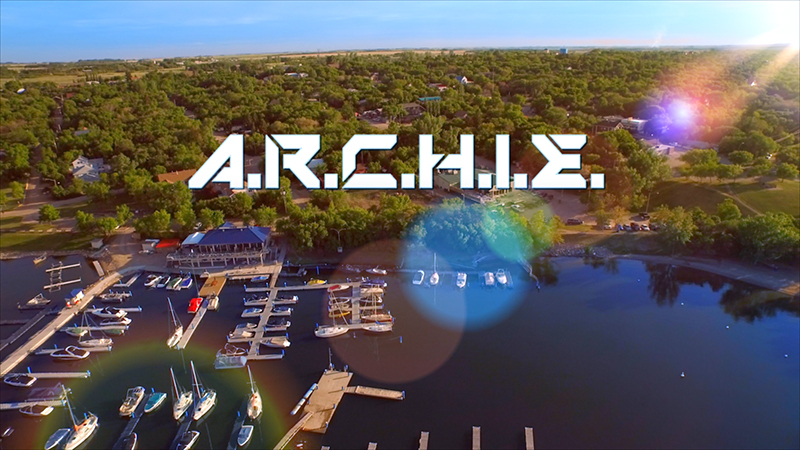 CLICK HERE TO VIEW SOME EXAMPLES OF OUR AERIAL PHOTOGRAPHY WORK. With more than 600 hours of logged flight time as of July 2017, our credits include aerial work for companies such as SaskPower, The Mosaic Company, Clifton Associates, WSP Global, K+S Potash, Tourism Saskatchewan,, Epcor Water Services, Dufferin Construction, Hipperson Construction, Saskatchewan Transportation Company (STC), the Global Transportation Hub, Sheppard Realty, Hungerford Realty, Authentic Realty, Harbour Landing real estate development, the Regina Bypass project, the Regina Public School Board, and the University of Regina, to name a few. We have also done aerial photography for several seasons of the SyFy/NBCUniversal Entertainment series Channel Zero, the Dreamworks SKG/Amblin Entertainment feature film A Dog's Purpose, the Echolands Creative Group feature film SuperGrid, the Discovery Channel's Mighty Trains, the cult horror/comedy movie WolfCop, the family movie A.R.C.H.I.E. featuring Michael J. 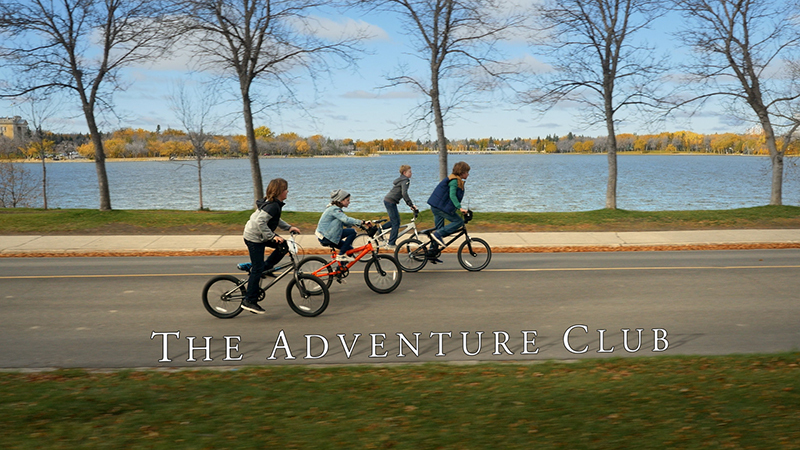 Fox, kids movie The Adventure Club, and the hit Canadian comedy feature film Corner Gas: The Movie. 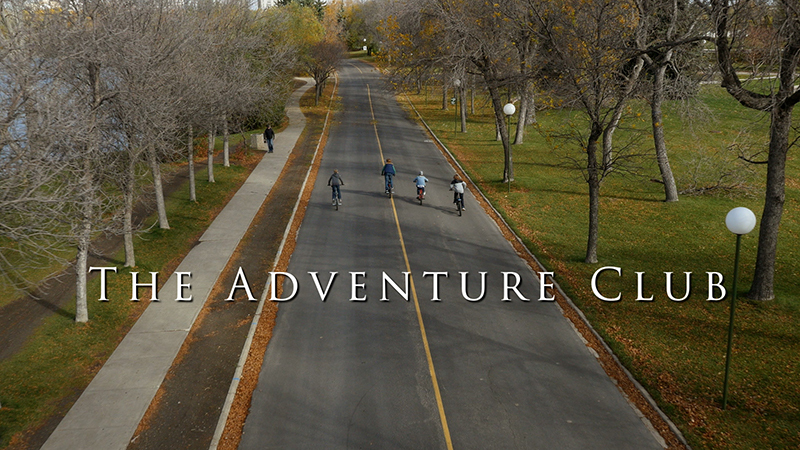 By the way, we also did all the visual FX and colour grading for A.R.C.H.I.E., The Adventure Club, and Corner Gas: The Movie. "I’ve worked with Java for many years, on various projects, and they are the epitome of the term ‘talented professionals’. An incredibly talented crew with a totally professional attitude and work ethic and a true gift for problem solving, they’re simply the best. 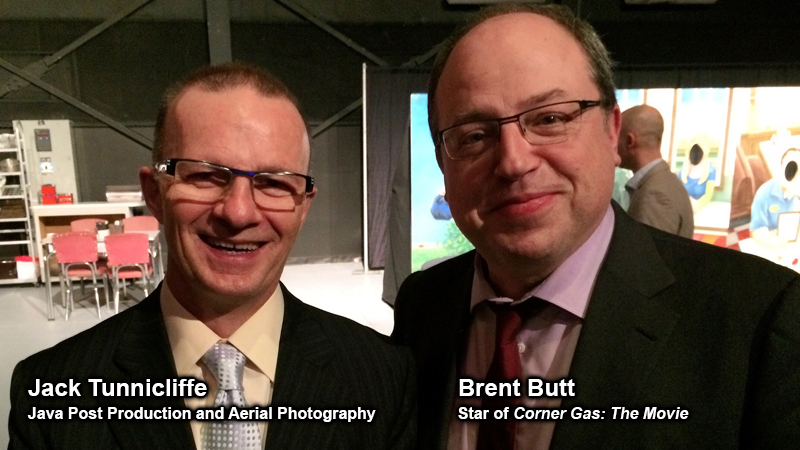 We were able to use their aerial film making skills on Corner Gas: The Movie, and it immediately elevated our on-screen product to heights we never imagined. I know that sounds like I'm working in some aerial puns there, but they were all unintentional. And all very accurate." 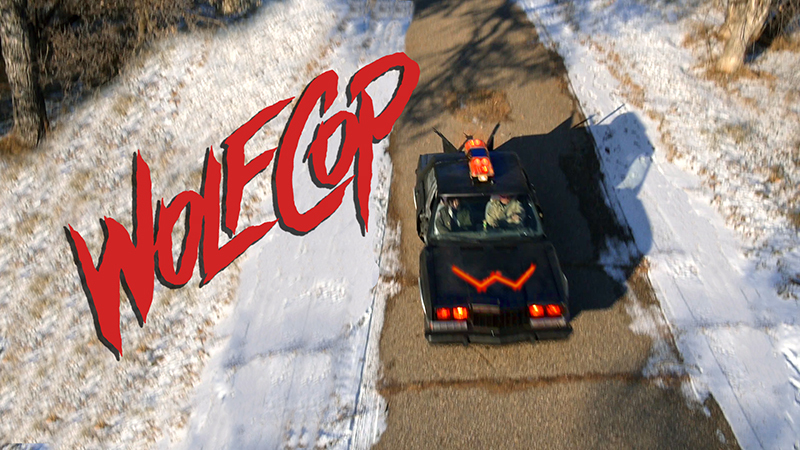 "I knew that a few well-placed drone shots would elevate WolfCop and help our small movie look a lot bigger. The aerials provided by Java Post were above and beyond (pun intended) what I'd hoped they'd be!" 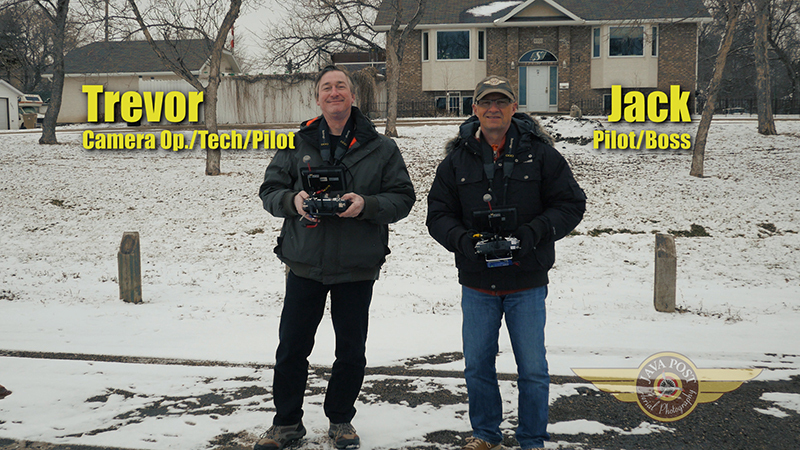 "Java Post Production's aerial team is a tremendous asset for any filmmaker. The quality and scope of the footage instantly boosts a project to the next level. 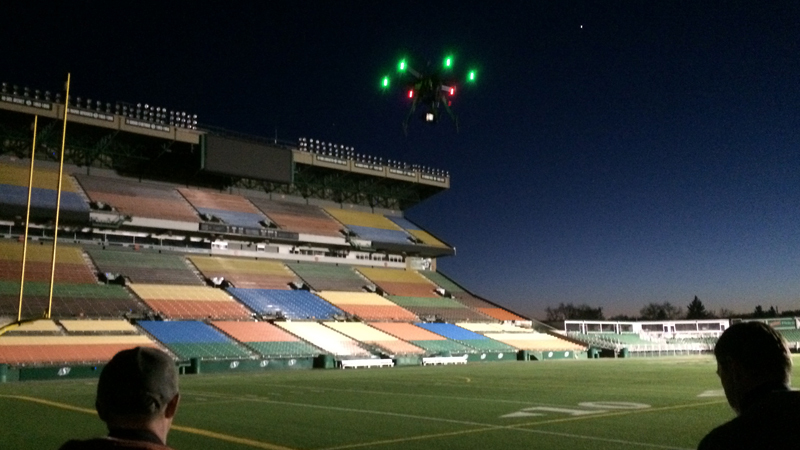 And those guys can get the drone in the air in under 5 minutes!" Robin Dunne - Writer/Director - A.R.C.H.I.E. "Java Post Aerials met our expectations and delivered high quality footage with an always-professional experience. I look forward to the next time." "Jack and company arrived on time and we were shooting in less than four minutes. The footage is terrific." "I would highly recommend Java Post Aerial Photography. Jack and Trevor's skill, creativity, and professionalism went beyond our expectations. Plus, we got a lot of dynamic footage of the campus from a vantage point that nobody had ever seen before." "It was totally wicked awesome, man." 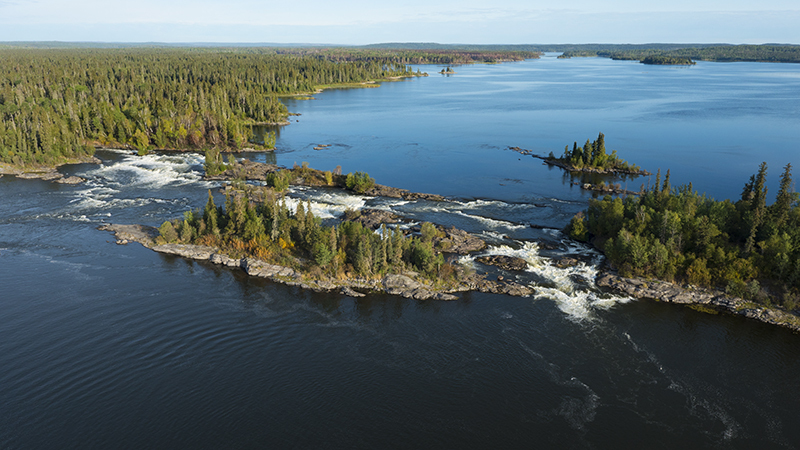 "For the new Tourism Saskatchewan campaigns, Java Post Production captured outstanding aerial footage, delivering perspectives that immediately captivate the viewer. These dramatic, sweeping vistas would have been impossible without the talents of the Java Post team." Java Post Aerial Photography is an experienced, fully certified and insured UAV (unmanned aerial vehicle, AKA "drone") operator, recognized by Transport Canada with an open Special Flight Operations Certificate (SFOC) for the Prairie and Northern Regions (Saskatchewan, Manitoba, Alberta, Nunavut, Yukon, Northwest Territories), Atlantic Region (Nova Scotia, New Brunswick, PEI, Newfoundland & Labrador), Pacific Region, and Ontario Region. Java Post Aerial Photography is Transport Canada-certified to conduct flight operations within airport exclusion zones and also at night. 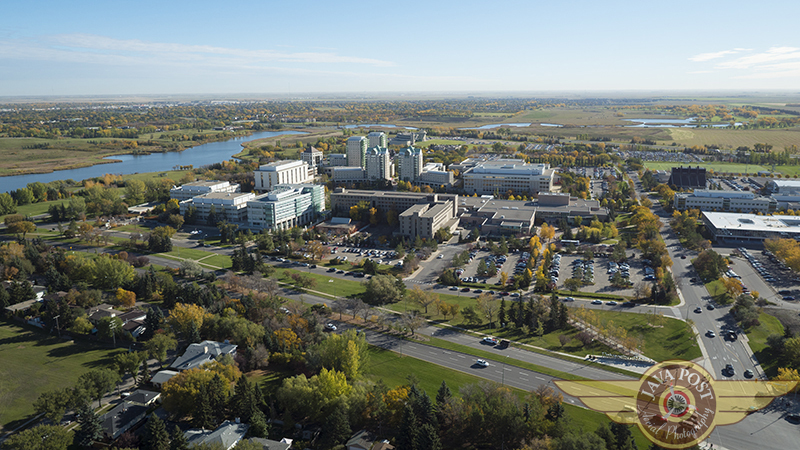 PLUS Java Post Aerial Photography is backed by the extensive, decades-long production experience of Java Post Production, one of the finest post-production facilities in Western Canada. Additionally, because of Java Post's flight experience and professional reputation, our open permit from Transport Canada also provides Java Post with special permission to fly within the 9-kilometre aerodrome operating radius exclusion zone. This is a feature not offered by many other UAV drone photography companies. 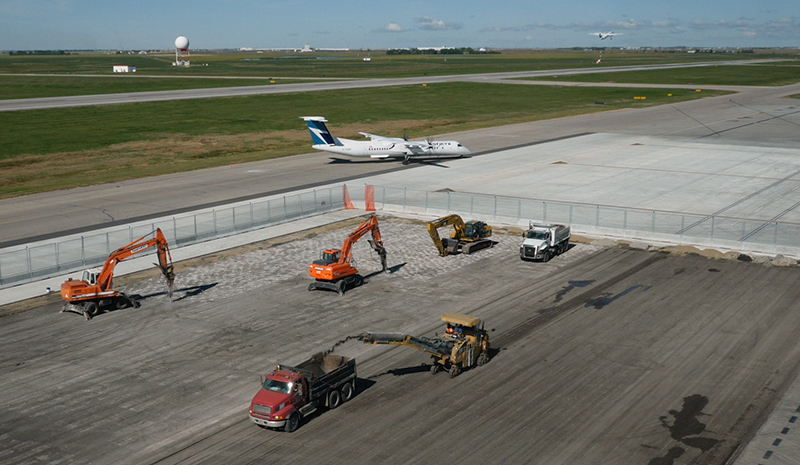 In the photos immediately above and below, you can see us doing a project right on the tarmac of the Regina Airport, while regular regular commercial flights take off and land nearby. Java Post Aerial Photography gives you more freedom and flexibility as to where you can capture your aerial images. 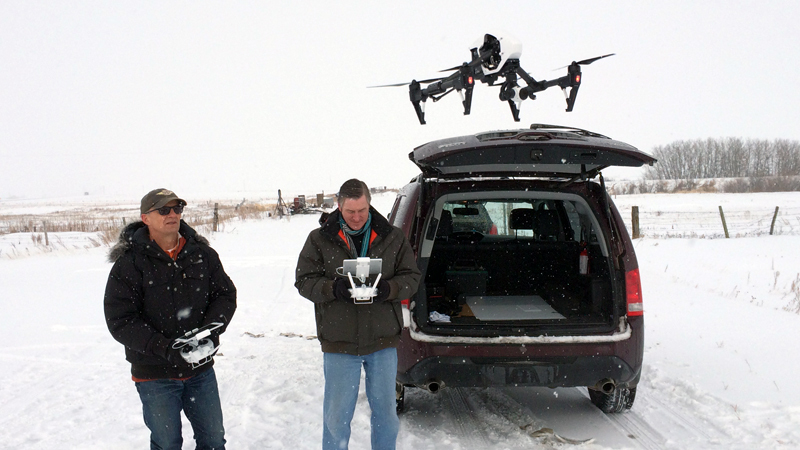 Depending on the project and camera requirements, we currently operate several different UAV "drone" units: a heavy-lift DJI Matrice 600 6-rotor hexacopter, a DJI S900 6-rotor hexacopter, and a DJI Inspire 2 quadcopter. 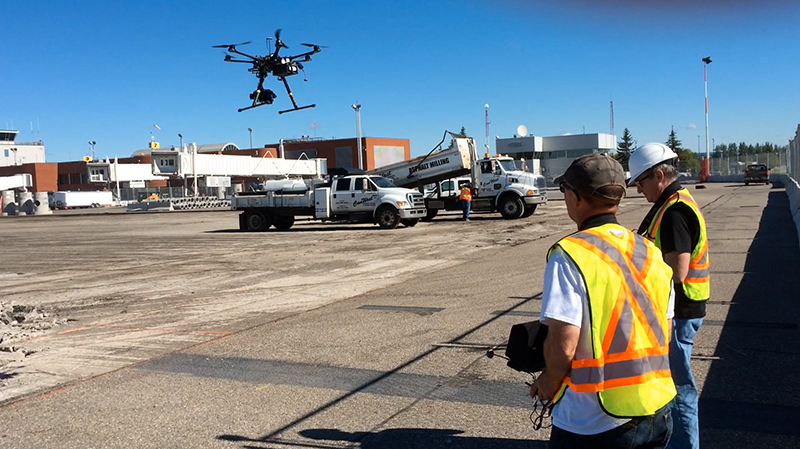 Our UAVs are operated by a two-person flight crew: an experienced and certified Java Post UAV pilot and an experienced camera operator/technician (who is also a certified UAV pilot). When the project requires it, a third Java Post ground crew person acts as a safety spotter. During flight operations, a high-definition video signal is fed directly from the camera to the pilot and camera operator on the ground, allowing the flight crew - as well as the client - to see what the camera sees in real-time. This real-time, air-to-ground HD video feed also gives our clients the potential to access live aerial video shots for live broadcasting, such as for sports, news or other live event. Whichever UAV in our fleet is being flown, our "Javacopter" can shoot smooth-as-glass images from barely above ground level right up to the legal Transport Canada UAV altitude limit of 90 metres (295 feet), shooting either HD stills or capturing 4K Ultra HD video. Java Post Aerial Photography...it's a whole new way to look at your next project. Contact us today and let's make flight plans together!